Batkivshchyna Party Leader Yulia Tymoshenko has called on Ukrainian citizens to use this historic chance to make the right choice so that the country can start the road to prosperity and the mafia never has a chance to destroy Ukraine again. “I believe that Ukraine will pass this test and this time manipulation will not work. We should on this historic day – March 31 – end the era of destruction and stagnation and start an era of rebirth and happinness. I believe in this and want to give you some of this faith,” Yulia Tymoshenko said on channel Ukraina. According to the politician, the current state of affairs and living standards in Ukraine are unacceptable. But Ukrainian society is geared towards qualitative changes and tranformation of the state. The presidential candidate reminded that on her initiative a team of Ukrainian specialists developed the New Course for Ukraine, a program to change key sectors of life. It also provides answers how to end Russia’s war against Ukraine and return occupied territories. 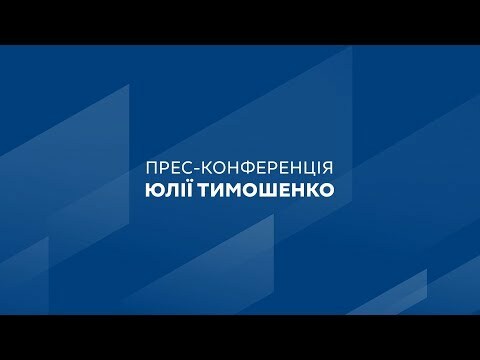 “I have been holding consultations on the highest diplomatic level and believe that if we organize the negotiation process professionally and raise the issue of the guarantees of the Budapest memorandum, we will have peace in Ukraine,” she said, adding that there are also negotiations on the establishment of an international fund for the development of Donbas. She also stressed that the program proposes a switch to an innovation based economy, new medicine and pensions systems, modernization of science, education, environment and defence, and support of the middle class. She also said her government will optimize the state debt, which is a threat to Ukraine’s national security. “The state debt is 419 billion hryvnias – one-third of the budget! We will not continue that carelessly. We will negotiate to optimize and restructure the state debt,” she said. She will also focus on villages and agriculture, and supports the moratorium on the sale of farmland until land is demonopolozed. “Through proper support of small and medium farming, we will have 2.5 million farms, like in Poland. We want our land to provide jobs to millions of Ukrainians. Production of finished goods will bring up to 180 billion euros annually,” said the candidate.